The audience has been asking for a live CD since forever. 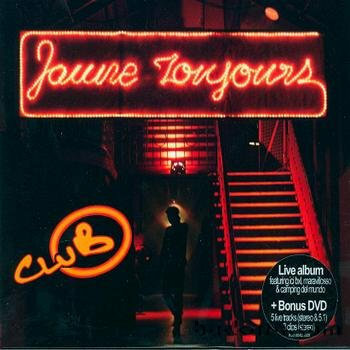 Jaune Toujours happilly obliges with the live CD/DVD cluB, featuring tracks from the albums O, BRUSK, Camping Del Mundo and Barricade, recorded at two memorable gig nights at the Ancienne Belgique in Brussels. Stef Van Alsenoy and Frank Duchêne at Club Ancienne Belgique. Stef van Alsenoy at Ancienne Belgique.